The Environmental Protection Agency (EPA) has warned the public especially fishermen to stay off the polluted sea at Ayigboe and Lolonyakope in the Ada East District of the Greater Accra Region to avoid effects of the volatile organic compounds which has contaminated the ocean. Residents were alarmed on Tuesday, January 16, after an oil spillage reportedly from a container was washed ashore and resulted in the discolouration of the sea water. The residents also said the polluted water started emitting some offensive odour in the area. 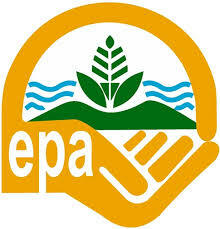 Responding to the issue, Public Affairs Director at the EPA in the Greater Accra region, Irene Opoku, told Class FM on Wednesday that investigations are on-going and an official report would be published subsequently. The EPA and other relevant stakeholders including local authorities in the Ada East District have been locked up in a meeting with the aim of unravelling the circumstances leading to the pollution of the sea and how to deal with the development to ensure public safety.